A senior solicitor has joined Cardiff-based Shanahans Law. Roshan Khan becomes a Senior Consultant at the Cathedral Road firm, taking the practice up to 10 staff comprising of five partners. Mr Khan, who has over 27 years of experience in law, previously headed up his own practice in Cardiff, Principle Law, and will continue to service all his clients through Shanahans. Speaking of the deal, Andrew Shanahan, Founding Partner, said: “We are delighted to have secured Roshan’s services and brought him on board. Not only does he bring nearly three decades of experience to our already accomplished firm, but with his expertise in Commercial Litigation, he adds another discipline of law to our offering. Mr Khan graduated from University of Wales, Cardiff before working for some of Cardiff’s most successful firms, such as Loosemores and Eversheds, becoming partner in 1995. A decade later, he set up Principle Law based in the Adamsdown area of the city. 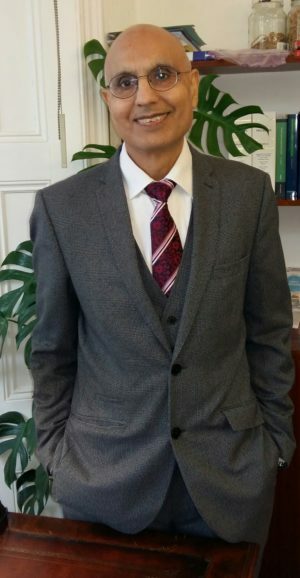 Mr Khan, a fluent Hindi, Punjabi and Urdu speaker, has lectured in law at Cardiff University as well as Cardiff Metropolitan University and has been on the Cardiff Law Centre’s management committee as the chairman for over 10 years. For more information regarding Shanahans Law, please contact 02920 190184, visit www.shanahans-law.co.uk or email enquiries@shanahans-law.co.uk.